While highlighting the old affectation of wine vat, the decoration brings elegance and originality. The functional aspect is not neglected, with a very well equipped kitchen and a maximum of storage. East facing terrace with garden furniture and barbecue. 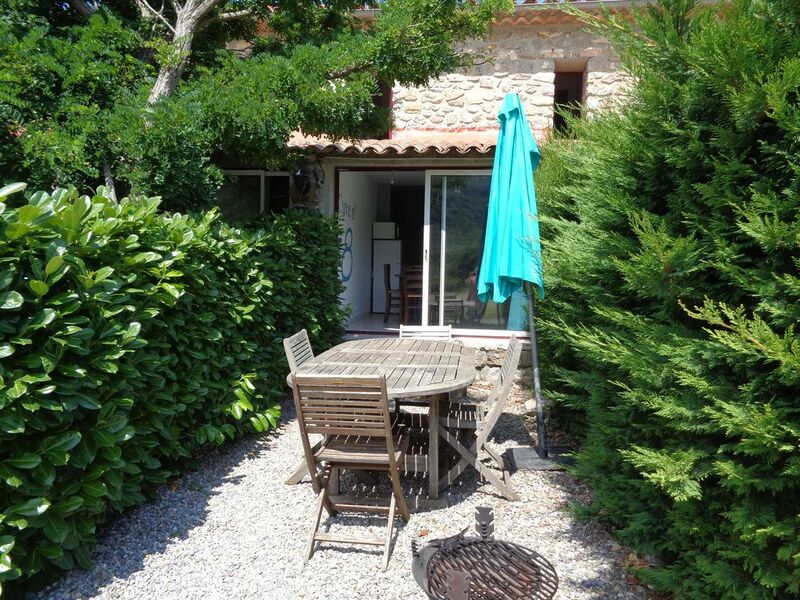 A little cocoon that you will like to find after a getaway in wild Corbières. Easy parking on site, access to the pool in summer.